Slumerican was the 5th meeting from the Vice Poznań series and the last Airsoft scenario organized by NAM this year. 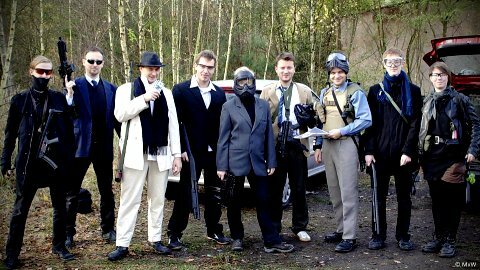 The event gathered 36 Airsoft fans posed as outlaws and law enforcement officers. We want to thank the „Dzikusy ASG Team” Association and our friends for the help in organizing the meeting. We also recommend pictures taken by MxW Foto during this edition of Vice Poznań.